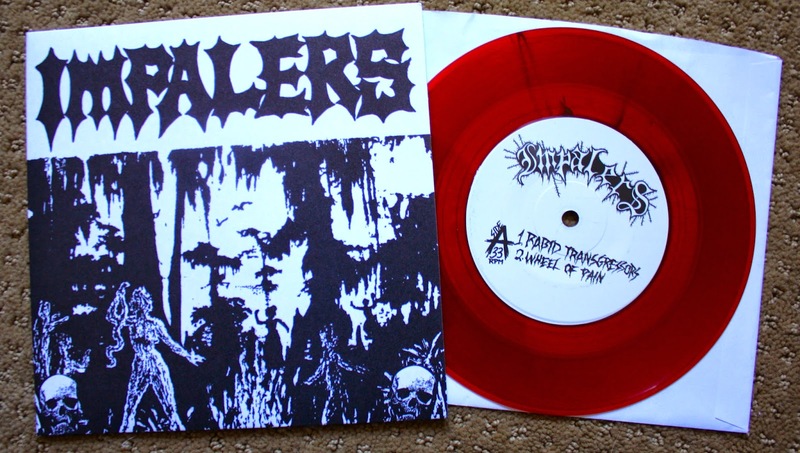 Here is the Impalers 2010 demo that was put on vinyl in 2012 by Beach Impediment and No Way Records. This was the limited press on red out of /200. This Austin band brings the heat on this one with some good 80's USHC and a whole lot of D-Beat going on... and a mix of Motorhead worship. This group also has a split and an LP out, which I need to check out. Beach Impediment can do no wrong. They've got another ep too.